Do the cultures and customs of the Bible seem distant and foreign? Do you wonder how the Bible relates to your life today? 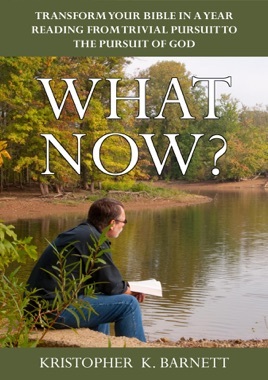 Does your Bible reading leave you wondering, What Now? What Now? bridges the gap between the world of the Bible and the contemporary world through it’s compelling life application questions designed to guide the reader into a deeper understanding of how God’s Word relates to their every day life, ultimately moving the reader from simply reading the Word… to living the Word. What Now? follows a daily reading plan that walks you through the entire Bible in a year, including passages from the Old Testament, New Testament, Psalms and Proverbs.